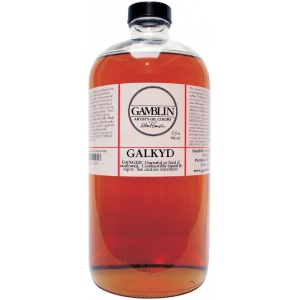 High viscosity and fast dry. 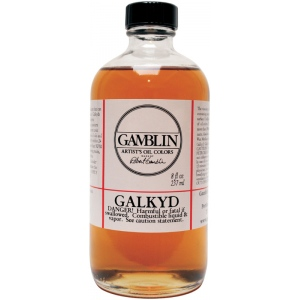 * Galkyd increases the fluidity of oil colors and speeds drying time. * Thin layers of oil colors are dry in 24 hours. 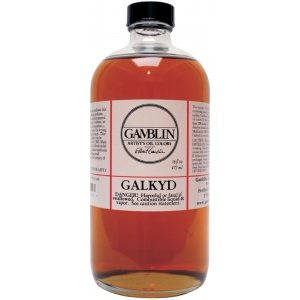 * Galkyd also levels brush strokes creates a strong flexible paint film and leaves enamel-like glossy finish. * Can be thinned with odorless mineral sprits. * Make excellent glazing mediums.